The focus of the Motorola camera app is on simplicity. You can tap anywhere on the screen to capture an image. 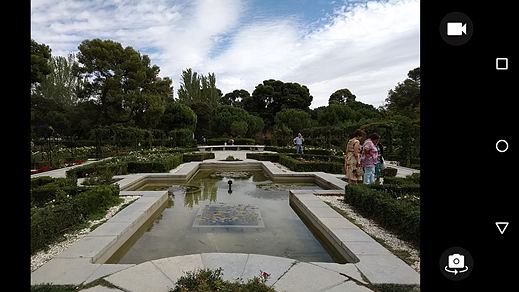 Camera operation on the Moto X Style is very similar to previous Motorola models but there is one new feature that marks an improvement in our opinion. If you have activated the target for setting the focus and exposure point manually, you now get a digital exposure compensation slider, allowing for fine-tuning of your exposure. Other than that the camera operates pretty much in the same way as it did before. There is no physical camera button but the app can be opened via a left-swipe on the lock-screen camera shortcut or by snap-twisting the phone around the long axis twice, a feature Motorola calls 'Quick Capture'. This works well but I've rarely found myself using it. Settings and special modes can be accessed via a pop-out dial on the left edge of the screen. 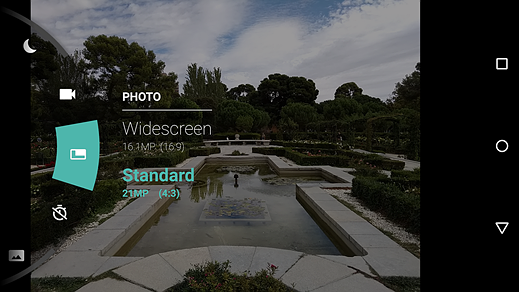 Once the camera app is launched, almost all features and settings (such as video resolution or panorama and HDR modes) can be accessed via a pop-out virtual dial on the left edge of the screen. Exposure and focus cannot be locked but the focus target works well if you want to focus on a specific point in the frame. 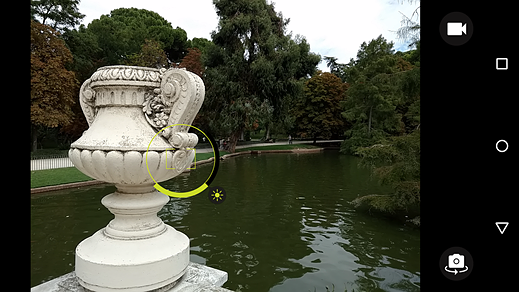 You can tap anywhere on the live view image to take a picture, or tap and hold to capture a burst. A tap on the video icon in the top right corner starts and stops video recording. In the bottom corner you'll find the button for switching to the front cam. An optional focus target allows you to focus on and exposure for a specific element of the image. It also comes with an exposure compensation slider. Overall the Motorola camera app best suits mobile photographers who prefer simplicity over control. It works very well for this group of users and offers quick and intuitive operation. However, those who want manual control over shooting parameters and more settings or features are arguably best served with a third party app from the Google Play store. Just keep in mind that if you are looking for full manual control over ISO and shutter speed and Raw format capture those are - despite the fact that the handset runs Android 5.1 - not supported by the Moto X Style.